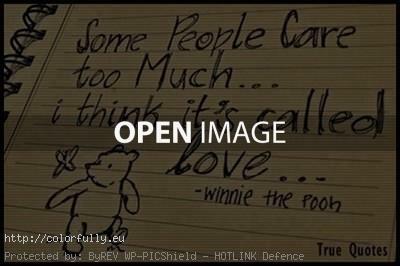 You are at:Home»Picture quotes»Some people care too much. I think it’s called love. been accused of taking things too seriously, or even considered, giving someone a 'hard time' about…this sums it up. Pooh knows best.